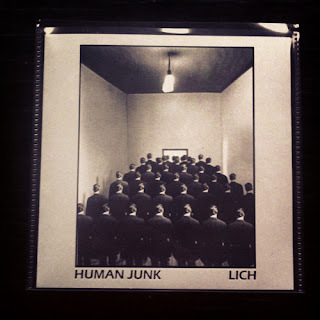 LICH / HUMAN JUNK split 5"
The split 5" with Lich came out last month (April 2013). 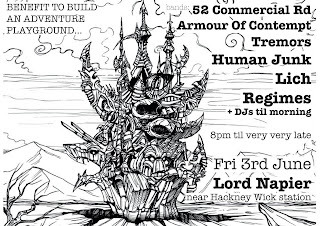 Massive thanks to Parade of Spectres of orchestrating the whole thing and the other labels involved for their contribution. You could say this now completes the 'holy trinity' split series between Human Junk, Lich and Man Hands. Our side is the usual blizzard of speed and was recorded at the same session as the God's America split tracks. The Lich side features their fastest songs and some of the most punishing too. 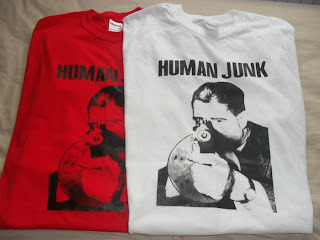 Human Junk / God's America split 7"
Its probably apparent that we never update this page, but now there is some actual news i'll put something up. After more than two and a half years as a band we have a record out. In an age where bands go straight to vinyl 5 minutes after forming i would say we've "paid our dues". Massive thanks to Andres of God's America/Negative Outlook for sorting everything out and to Stu TITV for the initial hook up. 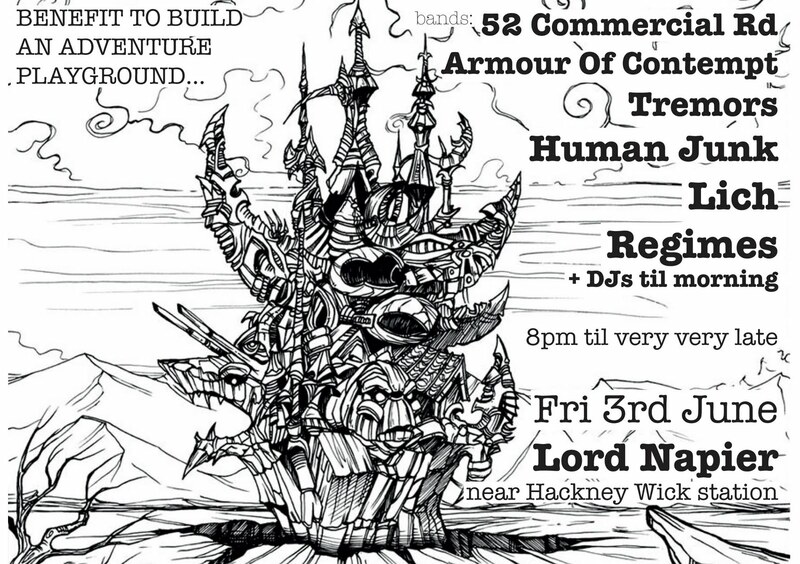 Also thanks to Black Trash and Third Eye Grind for their contributions. "God's America rip through 6 songs of devastating powerviolence. The songs are hammered out at a ridiculously wild speed with wretched slow sections and absolutely seething vocals. Turn over and Human Junk produce a whirlwind of distorted thrash. 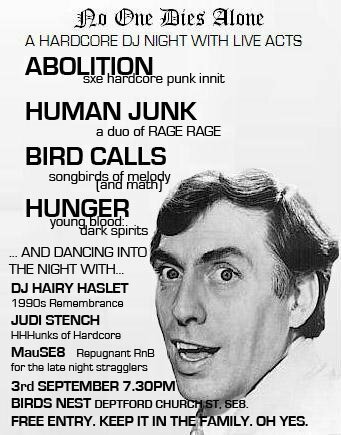 7 songs of ugly, ultra fast blasting punk in the Dropdead/Hellnation tradition." We recorded 12 songs back in November for 2 records. One is a split 5" with our good friends LICH and the other is a split 7" with awesome U.S powerviolence unit God's America. These should see the light of day within the next couple of months as both the other bands have recorded too and we just need to sort out artwork. Check out the bandcamp page to hear 4 of our new songs. Got back from the tour with Man Hands yesterday and we had the best time ever. Definitely never had that much fun on tour before! Thanks to everyone who helped us out. 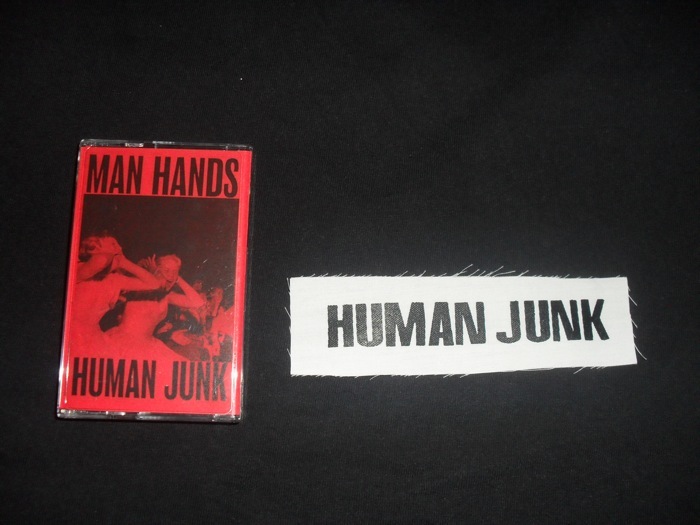 We've got copies of the split tape with Man Hands, t-shirts and patches. I'll post some pictures/ordering info soon. Next shows are all listed above. Hitting the road with Man Hands in August for 7 days. I'll keep updating this post whenever i get information on the line-ups and venues that aren't up there yet. 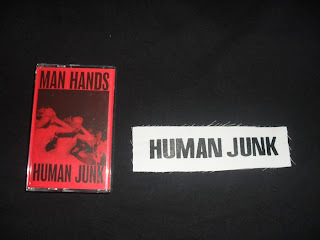 In other good news i finally have copies of the ManJunk split tape that we've been working on for months now. We just need to print some artwork, but it will definitely be ready for tour. 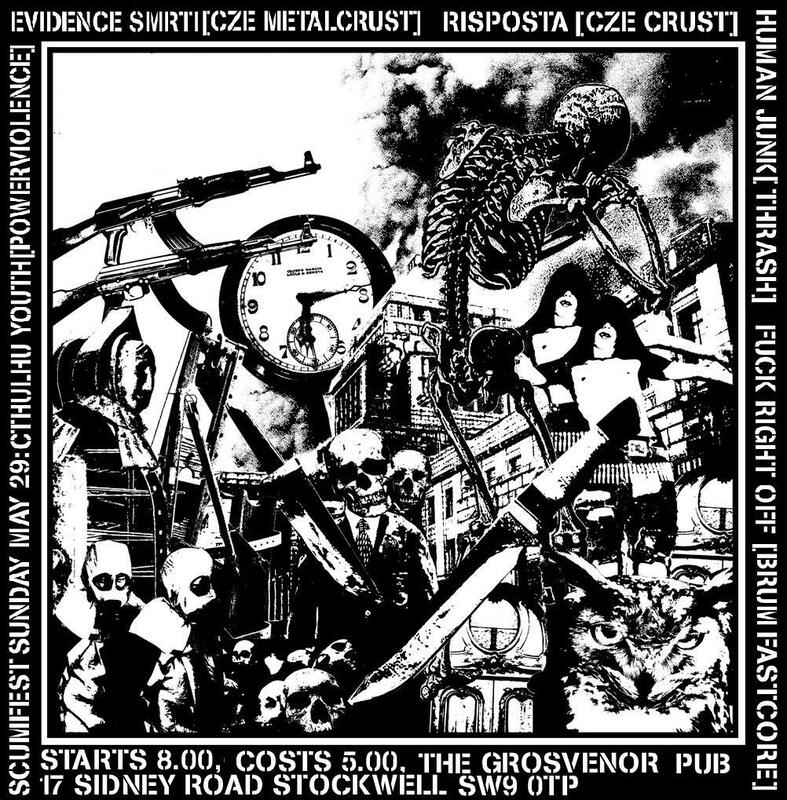 Also we'll have shirts, patches and a big distro with us. 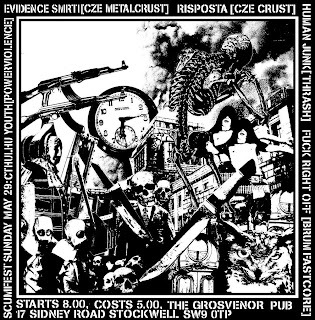 Only other show we're down for at the moment is 15th July w/ CLOSURE somewhere in London. 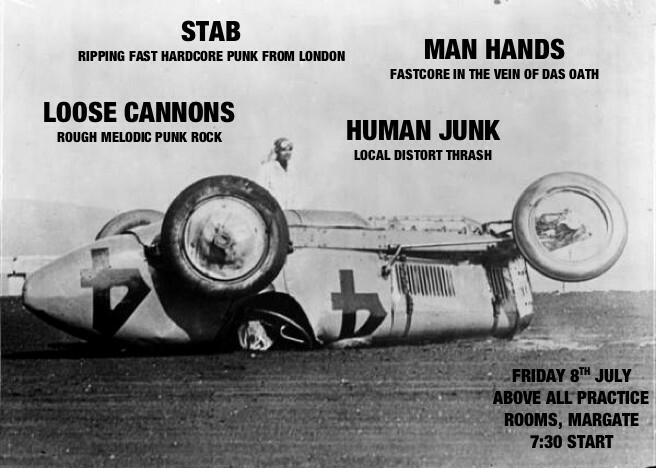 We finished mixing and mastering the Man Hands split a few days ago so 28th May is looking to be a sort of 'release show' for it. The new Man Hands vocals are so much better, you're in for a treat. I'm pretty sure Sky:lark! 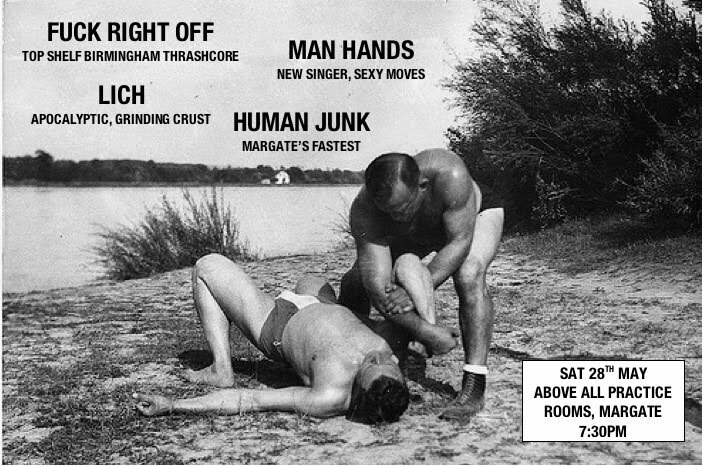 are now playing this too which is awesome as those guys, Lich and Man Hands are our favourite bands in kent. 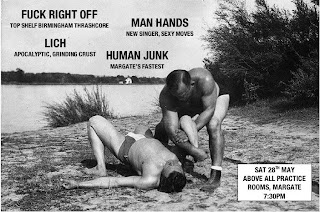 March should also see a few more shows for us and hopefully the release of the split tape we recorded with Man Hands back in December.